General Information: A member of the genus Cichorium (an extensive clan that also includes endive and radicchio), puntarelle comes into season in November and stays around through February. A Roman treasure, Puntarelle has an unruly appearance that looks like a cross between asparagus growing out of a fennel bulb covered by dandelion leaves. Puntarelle is best known in Rome. Even there this delicious vegetable is often mistaken for a weed. 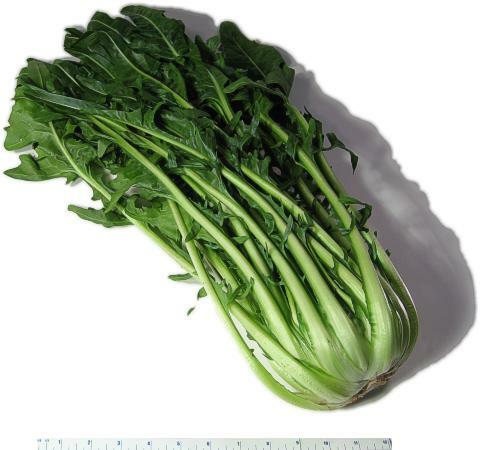 A member of the chicory family, puntarelle has a bitter undertone and its stems are tender yet crisp. Applications: Puntarelle is served frequently as a cold salad with anchovy dressing. Split and pared into strips, chilled in cold water to crisp and curl. It can also be used in a stir-fry with stems thinly sliced and tossed with chopped anchovies, garlic and olive oil. Its slightly bitter taste pairs well with foods that are rich and hearty.